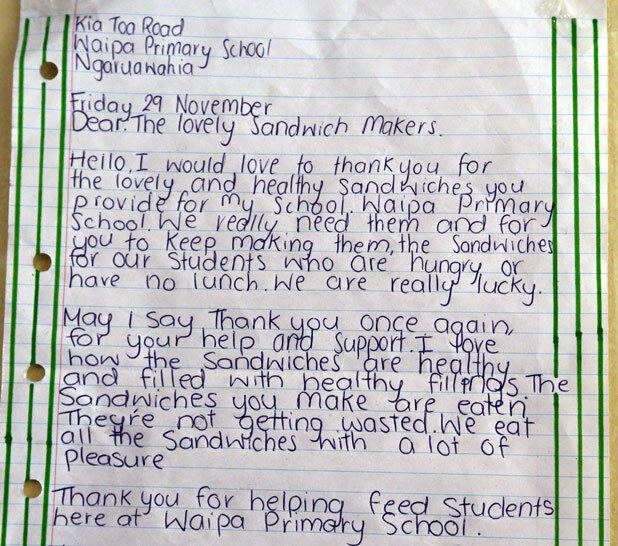 Every single day of the school year, motorcycle gang members in New Zealand deliver hundreds of handmade sandwiches to schools in Waikato, making sure no children go hungry like they did when they were young. 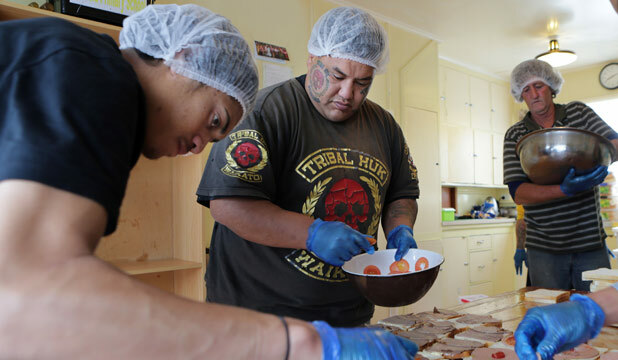 In a Waikato Times video you can see Tribal Huk members huddled in their hair nets, carefully spreading mustard and assembling the tomatoes and ham that will feed 450 to 500 children in 25 schools. Letters from children that begin “Dear sandwich makers” line the wall, attesting to the gang’s two-and-a-half years of service. When the video and story were published in the local paper and in a popular website, Stuff.co.nz, a flood of public support and offers have followed. People have volunteered to help grow the project, grow veggie gardens, send honey, avocados, margarine, eggs, books, money. Interviewed by the newspaper, Jamie Pink said he was fed by motorcycle gang members when he was young and remembers them as generous people who looked after him and his mom when they had nothing. Tribal Huk has a large following of young men wanting to become members. Many have grown up as hungry kids and turned into angry men. The kids who eat his sandwiches still have a chance and he has hopes that aren’t gang hopes for them. Heroes. Long may they continue to do this good work. We have a couple of motorcycle ministries in town. They are awesome.